To receive four free sample chapters of Resurrection plus release news, giveaways, advance review copy offers, and more, join Tanith Frost’s mailing list! 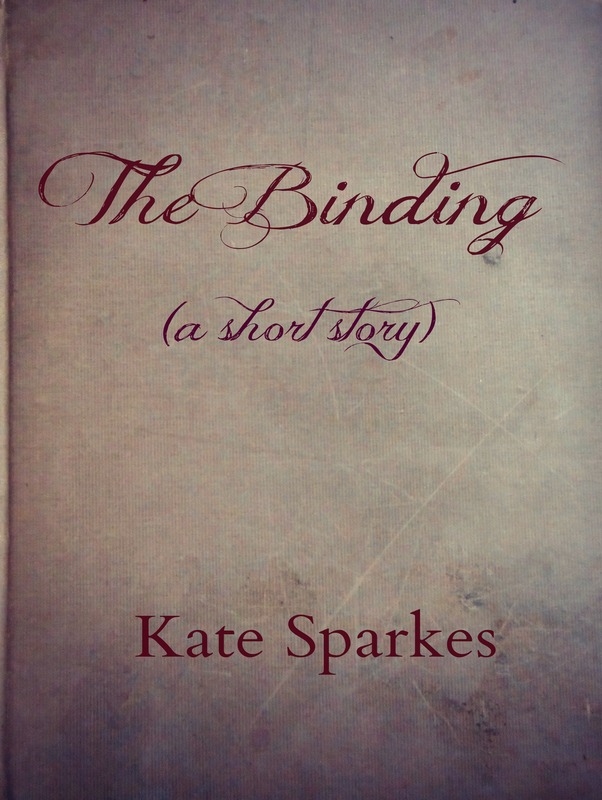 Just a quick post to let you know I’m running an ebook sale on the Bound trilogy! If you haven’t started this bestselling YA Fantasy series yet, or if you’ve been waiting for a sale to complete your collection, now is the perfect time! Enjoy! And if you have any friends who might be interested, your help in spreading the word is, of course, most appreciated. Thank you. You are so wonderful. Available for Kindle, Kobo, iBooks, Nook, yadda yadda. You can find all of the links on my site, katesparkes.com, or just click the links below. So… April is over. How did that happen? It seems like I was just setting my goals for this month, and WHOOSH. Gone. Time to set some for May. I know things have been quiet here while I’ve been focusing on my actual writing work, but here’s a quick recap. Drank a lot of coffee. Drank even more tea. Had a CT scan on my head. Bought myself flowers (not related to any of the previous, but it happened). April is still winter here, even though everyone always forgets that and expects it to be spring. Nine degrees one day, snow the next. At least it’s pretty. I started Couch to 5K training this month, and just finished week three this morning. What I’m doing now wouldn’t seem like a challenge to most runners, but it is for me. I like the feeling of pushing myself through the hard parts and getting the feeling of accomplishment that comes with that. Of course, I’ve thought of a bunch of ways this is like becoming a writer, but that’s a whole other post. Next up: Beloved by Toni Morrison. I’m not sure I’m ready for this one, but I’m trying to alternate in-my-genres books and not-my-genres books, and this is next up for lit fic. Wish me and my tear ducts luck. April was an interesting month for my work. 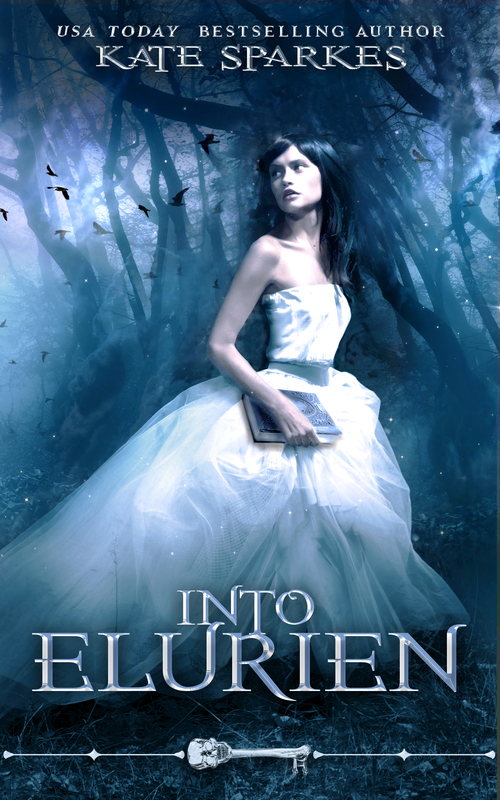 Into Elurien, my 50K* contribution to a series of stand-alone novellas by bestselling indie Fantasy Romance authors, is going fabulously. It came back from edits needing a little work, but that went quickly, and it’s now out with beta readers. It’s getting amazing feedback from readers so far. 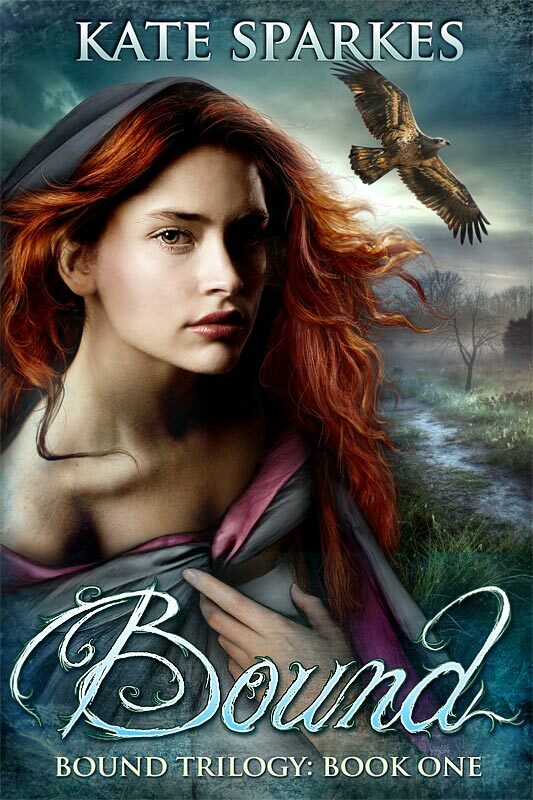 One who loved the Bound Trilogy said she thinks she might like this story even better. I’m completely in love with the characters in this one, and will be sad to let them go. I didn’t even know them back in January, and now we’re almost finished… crazy. But it’s very ready to go, and I can’t wait to see it out in the world. My other project, The Phoenix Game (working title), is proving a bit more challenging. I didn’t do enough ground-work before I started drafting, because I was trying to take advantage of the weeks I had while IE was out with alpha readers and with my editor. I didn’t get to know the characters well enough, didn’t explore the themes and ideas I’m working with in enough depth, and while my vision for the story is massive and beautiful, the mechanics weren’t quite in place yet. Add to that the challenge of writing in third person when I prefer first (for reading and writing), and what I’ve got so far is 30K words of a book with potential, but that doesn’t have the momentum and keen edge that I want. So I’m taking a break and reading a bit more on story structure before I continue. Yes, it’s just a first draft, but when I know I’ve made a wrong turn I like to study the map and fix it instead of driving off cliffs, you know? By the time IE is finished and up for pre-order (May 15), I should be ready to focus entirely on this one. It’s the most challenging book I’ve ever written. A YA story with a potentially complicated structure involving the past and the future (as well as gods and mortals), a deep backstory, themes that I’m still conflicted about myself, and a big cast of characters who are all likely to demand more page time than I can realistically give them when my goal is to keep it around 100K words after edits. And that’s exciting. It’s wonderful. And it’s a little intimidating when the kids’ summer vacation is just around the corner and I have edits booked for January. But I think writing is like a game. You level up with each finished project, and while I couldn’t have done this one justice a few years ago, I’m ready for this challenge now. So that’s my April. I’m going to go plan for May now. That will include lots of fun stuff for my readers. Not just pre-orders, but teasers, chapter reveals, a character reveal or two, and (if I can find time), maybe some videos for me to post here and on YouTube as I continue to step outside of my comfort zone and do new things. What were your highlights this month? I can’t even explain how excited I am about this book. What started as a “Yeah, I could squeeze a shorter project into my schedule” became something I’m madly in love with. These characters, this world, the ideas I got to play with and the story that took shape as I wrote it… It’s just so much more than I ever expected it to be when I took it on as a fun challenge. One of my favourite things I’ve ever written. Hazel Walsh left her island town three years ago, determined to never to return. But a series of missteps and misfortunes have left her homeless, heartbroken, and with no option but to return and take a job she doesn’t want in a place she fears will strangle her. On her way, she stops for the night at the Old Brook Inn. It’s a place of local myth and legend—things that Hazel hasn’t believed in since she was a child. When she finds a strange key in the attic and tries it in a locked door, she suddenly wishes she’d paid more attention to the fantasy stories she once scoffed at. She’s thrown into a world in the midst of revolution, where monsters have overthrown the humans who once enslaved them. All of them, that is, except Verelle, the cruel sorceress queen who vanished at the moment of Hazel’s arrival. If Hazel wants to have any chance of surviving and making it back to her own world, she’ll have to join forces with the amalgus Zinian—horned, winged, mysterious, and monstrously attractive—to unravel the mystery of Verelle’s disappearance. If they can’t, the fates of two worlds may be at stake. This one will be available for pre-order May 15 and releases June 15, 2016. You can add it to your Goodreads TBR now via this link. 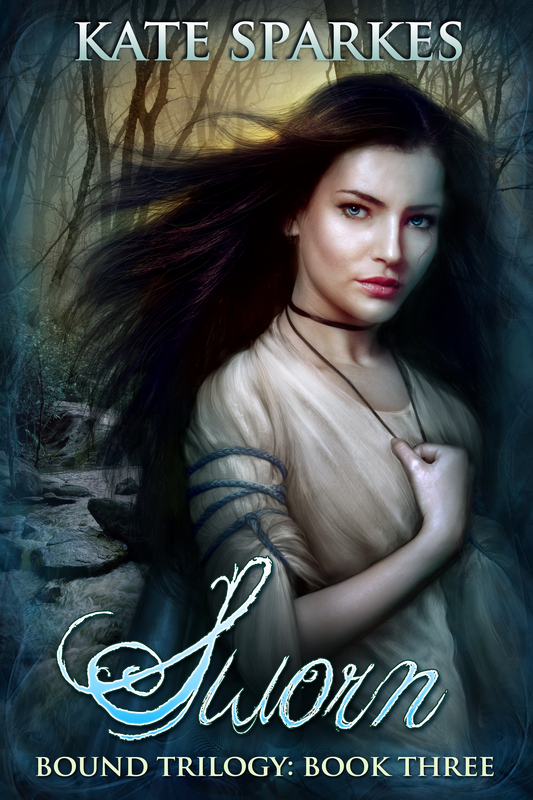 Big thanks to Jennifer at JM Rising Horse Creations, who did such an amazing job with this gorgeous cover! Not only that, she’s doing ALL of the covers for the Skeleton Key series. You can check them out here. What is the Skeleton Key series? It’s 30 books by 30 authors, all standalone fantasy romance novellas with a happily ever after guaranteed, featuring a range story types, sub-genres, worlds, characters, and heat levels. It looks like we’ve got fae, dragons, shifters, warrior queens, and of course monsters (*happy dance*). It’s going to be amazing. I’m really excited about this series, and I’ll have more information for you as we get closer to release day. Yeah, I put a stupid happy face in the title. It seemed fitting. The past month or so has been weird for me. I finished up post-alpha reader revisions on Into Elurien several weeks before it was scheduled to go to my editor, and she was kind enough to let me send it in so I’d stop picking at it, and in case she could get to it a bit early. Sue may be a kindred spirit. She gets it. Anyway, I had another project to work on after I sent that off. A big one. Probably the most ambitious thing I’ve ever done, in style if not scope or size. It’s a story I’ve been excited about since the idea popped into my head early one morning last year, and I’ve been itching to get to it. This is going to sound horribly unprofessional, especially if you’re familiar with the production styles of other writers, many of whom crank books out in a month, work on two or three books at a time in various states of production, and have no trouble jumping from story to story… but I really hate working on multiple projects. I just don’t deal well with interruptions. I can’t start working in the morning if I know I’m likely to be interrupted in an hour by Jehovah’s Witnesses*. I like hours to spread out, get my head into whatever I’m working on… time to procrastinate… I know, it’s a problem. I’m working on it! My point is, I had a hard time getting momentum on the first draft of The Phoenix Game (working title) when I knew Into Elurien would be coming back before I got through the draft. I like to push through drafts in one go, so the knowledge that I’d be interrupted–even a few weeks down the road–was distracting and demotivating. So as much as I adore this new book and all of its puzzling challenges, it was actually a relief when I opened my email yesterday to find Into Elurien back safe from edits. I mean, it’s bleeding, but it’s basically cosmetic issues. Big change from my full-length novels, which come back hacked to shreds, requiring a month or more of work to put them back together. So that’s progress, and I’m excited to get IE done so I can then turn my full attention back to PG and really dig deep into it. Today I get to return to my beloved Hazel, who’s going to be getting a little character work done to help her story flow well. I get to get reacquainted with Auphel, who’s stealing hearts wherever she goes. And I get to see Zinian again, who’s just… Yeah. It’s getting hard having my heart split between all of my book guys. He’s special. I want one. Right. PROGRESS! I’ve got beta readers lined up for the beginning of May. Pre-orders going up May 15. Release day June 15. Parties. Giveaways. Teasers. And, of course, the cover reveal TOMORROW. AND sending out the newsletter, in which subscribers will meet Zinian for themselves. First excerpt. GAH. Excitement! Flailing! *Yes, they come once a week. They know I’m not converting, but I AM learning a lot about prophecy and beliefs other than my own, which are Totally Useful Things in my line of work. And they’re really nice. Just a quick WIPpet from me this week*. For 3/2, here are two paragraphs from chapter one (one for the first post of this month). This is from Into Elurien, the novella I’m working on for the Skeleton Key book series. It’s come back from alpha readers, and I’m in the process of getting it ready for editing. The road improved as it wound through the forest that was so astonishing in autumn, when the last of the sightseers camped or lodged their way through and tagged their works #Fairbrook #fall #BimbleIsland #breathtaking #PayAttentionToMe. I knew this because I’d heard all about the town meeting regarding which hashtags to encourage and the ensuing confusion over what the hell these “hashbag” things were, anyway. Fairbrook. A nice place to visit, but God, did I not want to live there. Not that any of us have lived in towns like that, I’m sure. Check out what the rest of the WIPpeteers are up to by following this link! Thanks to Emily Witt for hosting. And if you’re feeling all typey and sharey, feel free to join in on your own blog! Choose a quick snippet from your work in progress (relating to today’s date, of course), post it on your blog, and link back. “Easy-peasy London squeezy,” as my younger kid used to say.